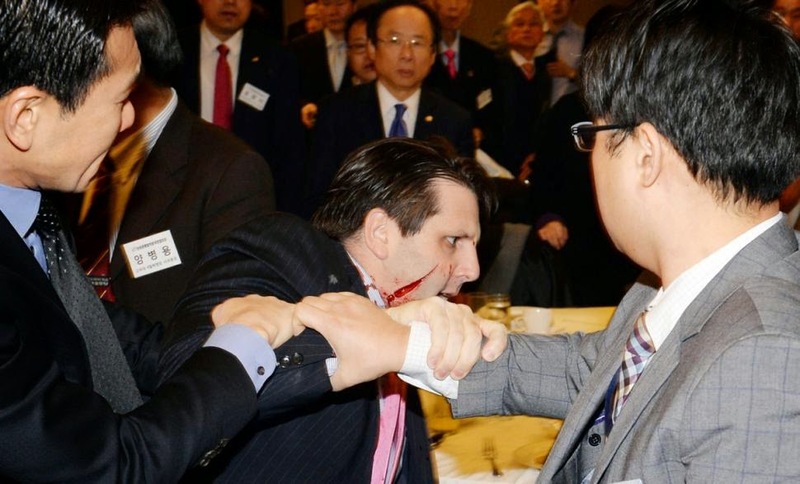 Ambassador Mark Lippert who was a former U.S. Navy Seal was attacked by a man with a blade who was shouting anti-war slogans. Lippert is the United States ambassador to South Korea. He was rushed to a hospital in Seoul and is doing well. The incident is being investigated and the Obama administration has sent their well wishes to the ambassador who tweeted that he is doing fine and is in good spirits. It seems like the security of ambassadors is not a top priority. We must work to change this. Let us pray for the recovery of Mr. Lippert and for the safety of our ambassadors worldwide.